Safal Group presenting a new simple & innovative residential project named Safal Trademark”. Safal Trademark is located in Mumbai and comprises of thoughtfully built residential apartments that offers well designed and technologically infused 2 BHK and 3 BHK rooms. The project is designed with multitude of amenities spread over 1.00 acres of area.It is among the upcoming projects of its Builder. It has lavish yet thoughtfully designed residences.Trademark project is expected to give possession by December, 2022. Safal Trademark is one of the popular residential project in Chembur, Mumbai. 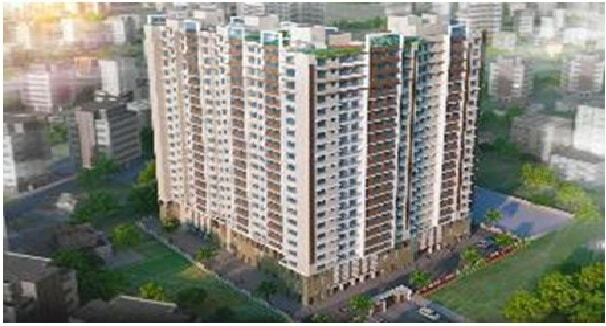 Safal The multi-storied project offers an array of 2 BHK and 3 BHK Apartments. The dimensions of area included in this property vary from 1010 to 1650 square feet each. The interiors are beautifully crafted with all modern and trendy fittings which give these apartments a contemporary look. The Apartments are spacious, well ventilated and Vastu compliant. Safal Trademark is close to several open public spaces and sports activities.The area is rich with several industries, factory outlets, multi-product stores and a shopping mall. Bombay Presidency Golf Club here is one of the prominent golf clubs in Mumbai. Chembur is one of the blooming suburbs in eastern Mumbai. It is surrounded by the neighbouring Chunabhatti, suburbs of Kurla, Govandi and Ghatkopar. The Lokmanya Tilak Terminus, which is located in Kurla and acts as start point to many long distance trains, is at a short driving distance. The address of Safal Trademark is Sion Trombay Road, Chembur (east), Mumbai. The Comforts and Amenities offered in “Safal Trademark” are Landscaped Garden, Indoor Games, CCTV Cameras, Gymnasium, Play Area, Intercom, Lift, Library, Car Parking, Fire Safety, Jogging Track, 24Hr Backup Electricity, Meditation Hall, Jacuzzi Steam Sauna, Table Tennis, Amphitheater and Open Lawns, Snooker, Security and Yoga, Aerobics and Meditation Room. Schools: - Ryan International School, Loreto Convent School, Swami Vivekananda High School, RBK International Academy, Ideal High School. Parks: -Raheja Garden Area, Heritage Gardens Co Pvt Ltd, Sahara Garden, Dr. Baba Saheb Ambedkar Garden. Shopping Malls: - Cubic Mall, Dmart PUP, K Star Mall, R Odeon Mall. Movie Theatres: - Sharad Cinema, Natraj Cinema, Ashish Theater, HPNE Open Air Theatre, Bharat Talkies. Pharmacies: - Tulsi Medicals, Nobel Chemist, Ayush Clinic, Maharashtra Medical Stores, Om Pharma, Bharat Medical. Hospitals: - Apollo Spectra Hospitals, Life Line Hospital, Rane Hospital, Sai Hospital, Mamta Maternity & Nursing Home. Restaurants: - China Bistro, KFC, Mahesh Bar & Restaurant, McDonald's, Bombay Burger. Banks/ ATMs: - IDBI Bank ATM, IndusInd Bank, Axis Bank ATM, ICICI Bank ATM, Standard Chartered Bank ATM, ABN AMRO Bank (ABN) ATM.